If you’re looking for new Volkswagen parts for your vehicle, we would be happy to help. 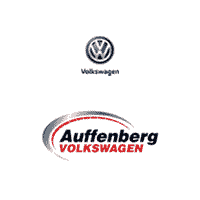 Here at Auffenberg Volkswagen, we have a team of parts experts who will gladly help you find the OEM Volkswagen parts you need — we also have a wide selection of VW accessories, including Volkswagen Beetle accessories. Whether shopping for parts or accessories, it’s smart to go with OEM Volkswagen parts, which are precision engineered for your vehicle, right down to the model year. From new Volkswagen tires to a replacement VW Jetta battery to a pair of windshield wipers for your Beetle, Auffenberg Volkswagen is your stop for official parts and accessories.When you’re putting new parts into your vehicle, it’s important to choose pieces that are the right fit and that are going to last so your vehicle can keep running correctly and safely. That’s why it’s always a good idea to choose genuine Volkswagen parts for your VW vehicle. This ensures that the parts will be a great fit for your car, since they were made specifically with your vehicle in mind. It also ensures that they are high-quality and will last for years to come. At our parts center, we carry genuine VW parts, so you can feel confident putting these parts in your car. If you know which parts you need, just fill out our order form and we will have them ready for you in no time. If you’re not sure exactly what your vehicle needs, don’t hesitate to ask our parts team for assistance. We know auto parts like the backs of our hands, so we will gladly help you determine which parts would be a good fit for your vehicle. And if you need assistance installing them, the technicians in our service center would be happy to take care of it. The next time you’re in need of new auto parts, feel free to stop by our dealership serving the O’Fallon, Granite City, Belleville and Edwardsville, IL and St. Louis, MO areas. We will gladly help you get your hands on the VW parts that are perfect for your vehicle.